Our 24ft Tiny House Trailers are the second most popular size trailer we sell. There is a vast amount of designs and floor plans available for this size trailer. At 24 foot long there is still plenty of open living space and maneuverability when towing. We even offer a 24 foot version of our popular Entertaining Abode available. 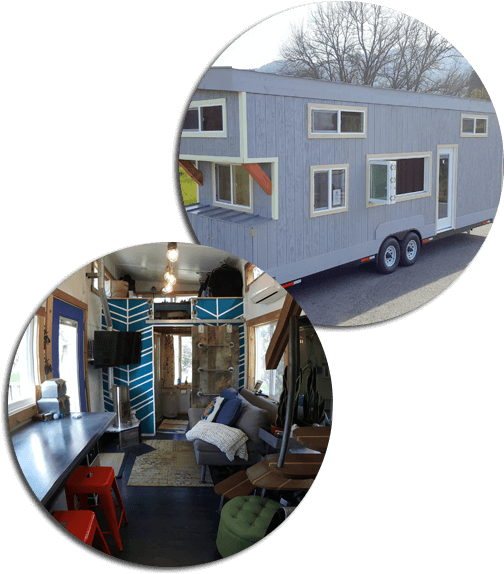 This size Tiny House Trailer provides room for a family sized kitchen, larger lofts and a larger bathroom, all contributing to a spacious floor plan. These trailers are most commonly ordered in 12k, 14k and 15k triple axle GVWR. Every tiny house is unique to the owner of the home. 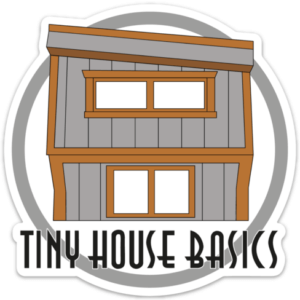 Every tiny house shell, no matter how small or how large, is tailored for each customer’s needs. We will carefully guide you through the process of choosing a shell, ranging from 10 foot to 48 foot. You choose the window sizes and their locations. You place the front door where you want it, and even choose the style of roof and exterior siding. 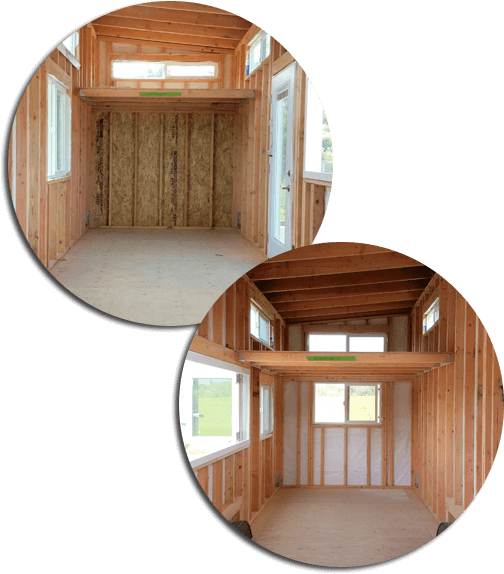 No matter if you compile a base model with gable roof, 36” front door and 4 windows, or a tiny house with a metal roof and T1-11 siding or even a fully outfitted tiny house, we can work together to design it according to your needs!